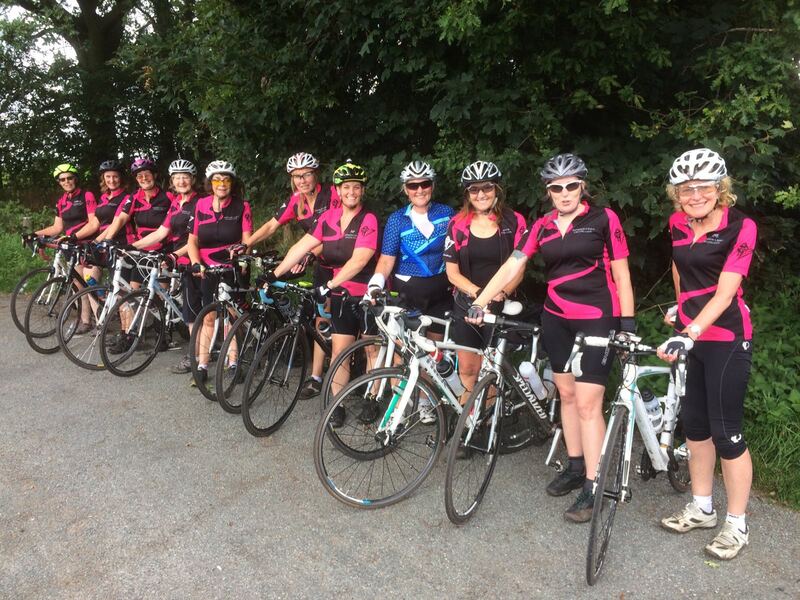 Welcome to Hopwood Ladies Cycling Club. We aim to be an inclusive, adventurous, non-competitive and fun (cake eating) Club with members from a wide variety of backgrounds. We meet 3 times a week for rides. Tuesdays are a gentle ride, around 10-20 miles, but can be adjusted for beginners. On Wednesdays we travel a little further, around 35-55 miles, and test the bacon sandwiches, baked potatoes, coffee and cake in many of the local coffee shops. On Sundays we often go further afield. We enjoy challenges, and have achieved many over the years, with members who have completed the ‘End to End’ (Land’s End to John O’Groats) (and some who are going to complete it this year – see below) and the Coast to Coast from Whitehaven to Sunderland. Recently some of us cycled to Bournemouth in a day. For newcomers though, achieving your first 20 miles and not being tired can also be a good reason to celebrate. We have also been on many cycling holidays, sometimes carrying all our gear, and have gone all over the place, far and wide. Who knows what we will do or where we will go next? Hope to meet you soon. Four of our members are cycling from Land’s End to John O’Groats in June 2019. For more details, please see News page. Please click on the links below if you would like to sponsor them.